ESCALANTE – Studies are currently being conducted at Grand Staircase-Escalante National Monument to see what damage may have occurred regarding oil residue found there. 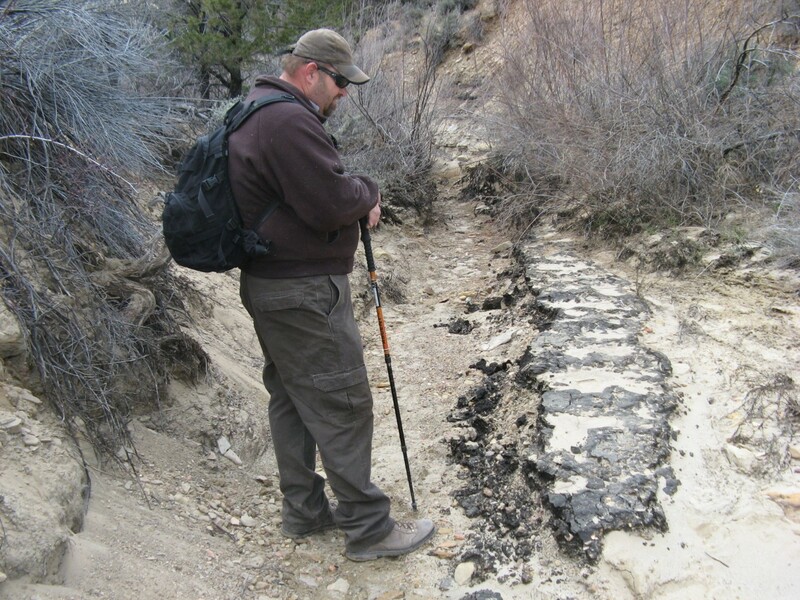 Hikers in the Upper Valley of the monument noticed oil on the ground along with smudges on rocks and plants near the Little Valley Wash on March 23, 2014. The Bureau of Land Management was informed of the oil and assembled a team consisting of a monument assistant manager, a petroleum engineering technician, a geologist and representatives from Citation Oil and Gas Corp. to perform an initial assessment in order to determine the next steps. Citation Oil and Gas Corp. is the lease holder for oil production in the area and operates five active production wells and two injection wells on the monument. An exposed pipe was also looked at that carries 17 barrels of crude oil and 400 barrels of saline production water each day. Citation Oil and Gas Corp. had recently patched a pin-sized hole and left the pipe visible to monitor the repairs. According to a press release, the BLM’s initial on-the-ground inspection suggested the vast majority of the spill might be as much as three decades old and had been exposed after heavy rainfall. 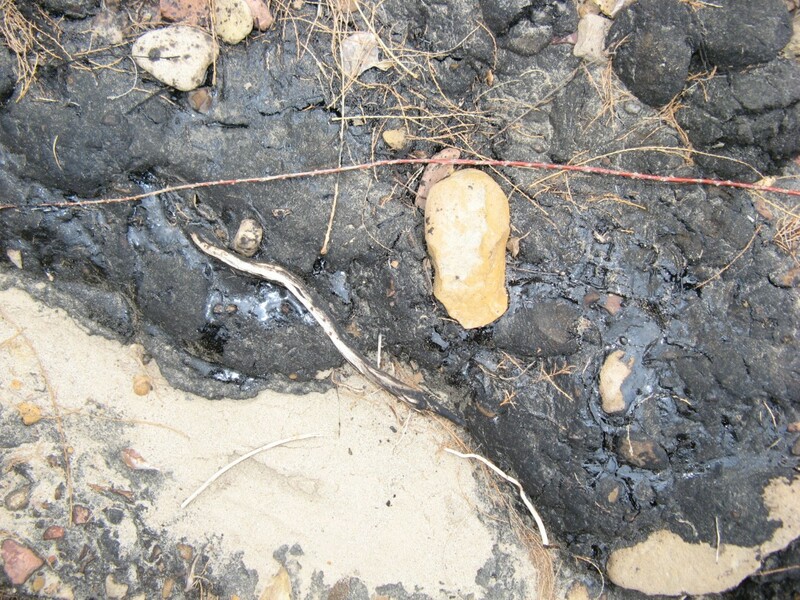 A small pipeline also appeared to have leaked from time to time. When notified of a possible leak, Citation Oil and Gas Corp. shut down the well. Since the oil residue has been found, the BLM, Grand Staircase-Escalante National Monument and Citation Oil and Gas Corp. have been working closely to solve the problem, said Larry Crutchfield, public affairs officer. Citation Oil and Gas Corp. was not in the wrong in not reporting the leak, Crutchfield said; they were following regulations stated in their surface use plan. This was not considered an unreported oil spill. The leak was not reported because it didn’t have to be, Crutchfield said. A leak did not have to be reported until 10 barrels of crude oil or more had been spilled. Regulations have been changed since the recent leak occurred, he said, and any amount of oil spilled in the national monument must now be reported within 24 hours. Although the actual amount of oil spilled has not been determined, it does appear to be minimal, Crutchfield said. When the leak occurred Citation Oil and Gas Corp did not see a dip in production. “We don’t believe it was a large spill because there would have been a die-off of vegetation. We haven’t seen that,” Crutchfield said. The saline production water is of bigger concern than the oil, Crutchfield said, because of the larger quantities. Although he is not affiliated with the incident, Dean Winward, associate professor of agriculture at Southern Utah University, has expertise in plant growth and the effects of salt in regard to vegetation. Much of the area is already naturally saline because of an old seawater geological formation deposit, he said. 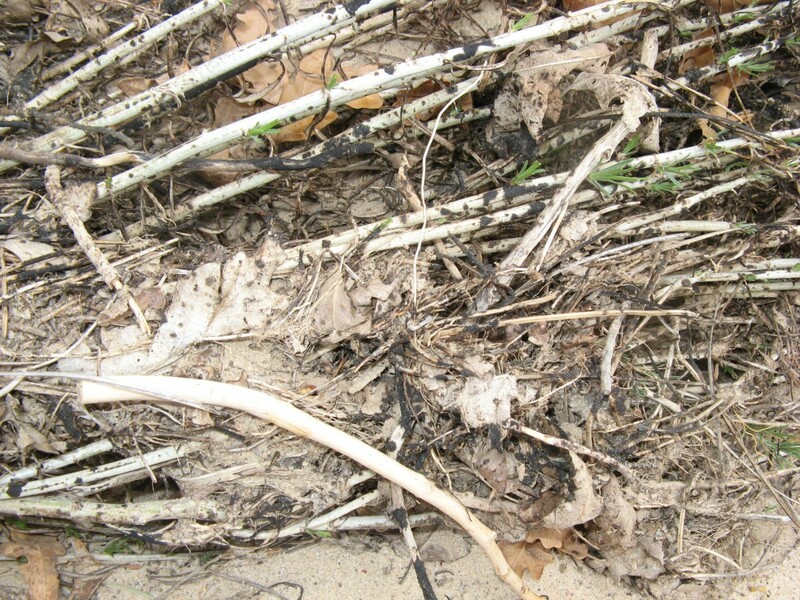 It is possible that the vegetation in the area is already somewhat adapted to saline condition, Winward said. To know the exact saline levels in the area of the spill, a soil map would have to be studied. In an everyday situation, salt burn occurs quickly when vegetation is exposed to a high saline situation, Winward said. Since this is not an everyday situation, there are many things to consider, Winward said. Testing is currently being conducted to see any possible damage, Crutchfield said, and more will be known by mid-June. The oil residue can be disposed of or contained in three ways, Crutchfield added: through burning the oil, burying it or extracting it. Although what will be done has not yet been determined, “We will continue to closely monitor the site no matter the decision,” Crutchfield said. “We are responding properly to the threat, but we will need additional time to see the affects of the green-up,” he added. Citation Oil and Gas Corp. and its representatives have not responded to multiple invitations to comment on the matter.